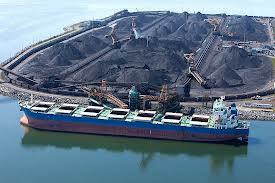 The Lower Mainland is poised to become the largest coal export hub in North America. Joey Hartman on NELSON MANDELA and the role the labour movement played in anti-apartheid struggles and solidarity actions. Taught us that boycotts and economic sanctions can really work when they are called for by those who will suffer the consequences. Also: Latest anti-union government legislation – FEDERAL – Bill C-4 is the most recent anti-union legislation to be rolled out under an omnibus bill. One significant feature is the unilateral authority for the government to declare which positions are essential services, replacing the current negotiations process. It also changes the ability for a worker to refuse unsafe work in federally regulated injuries and workplaces. Events: David Rovics Concert: 7:30 pm on Saturday December 14 at Heartwood Café, 317 E. Broadway – call 604-874-1256 for info and tickets. $15 but no-one turned away. Sean Condon, Executive Director of the Street Paper – Megaphone discusses the fascinating year end review edition of the paper. The South African Cultural Association is holding a memorial for Nelson Mandela on Sunday, December 15, at the Performance Works on Granville Island, from 1 to 3 pm. Seats are limited and will be on first come basis. The U.S. trade news journal Washington Trade Daily is reporting that Canada has dropped its opposition to some of the most outrageous intellectual property rights demands of the United States in ongoing Trans-Pacific Partnership (TPP) negotiations in Singapore this week. Responding to these revelations, the Council of Canadians wants the Harper government to publish the complete text of the TPP agreement so everyone can see what the changes, especially to patent laws, will mean for Canadians. APTN reports that Chiefs at the Assembly of First Nations winter gathering want to change the name of June 21 from Aboriginal Day to Indigenous Peoples Day. A resolution, moved by two Saskatchewan chiefs, will be tabled this week calling on the AFN to take up the issue with the Harper government. The Toronto Star reports that Canada’s six biggest banks set aside $10.8 billion for incentive compensation this year.